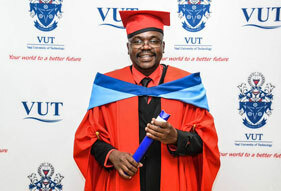 On Tuesday,09 April 2019, the guests in the Desmond Tutu Great Hall witnessed an overwhelming moment when a Phd in Business was awarded to Dr. Madzimure Jeremiah. 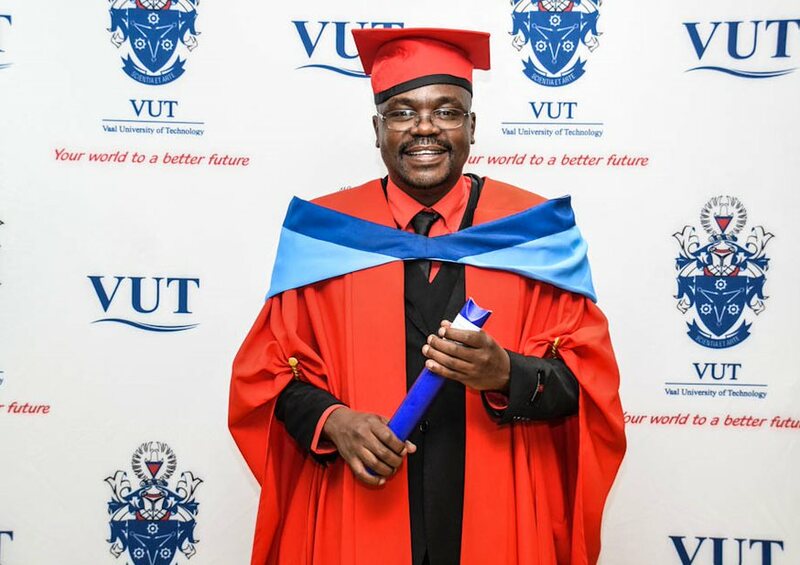 The newly qualified Dr. Madzimure, a Coordinator at the Centre of Academic Development at Vaal University of Technology since 2012 was in complete awe when he learnt he would finally be graduating. He could not contain his excitement.